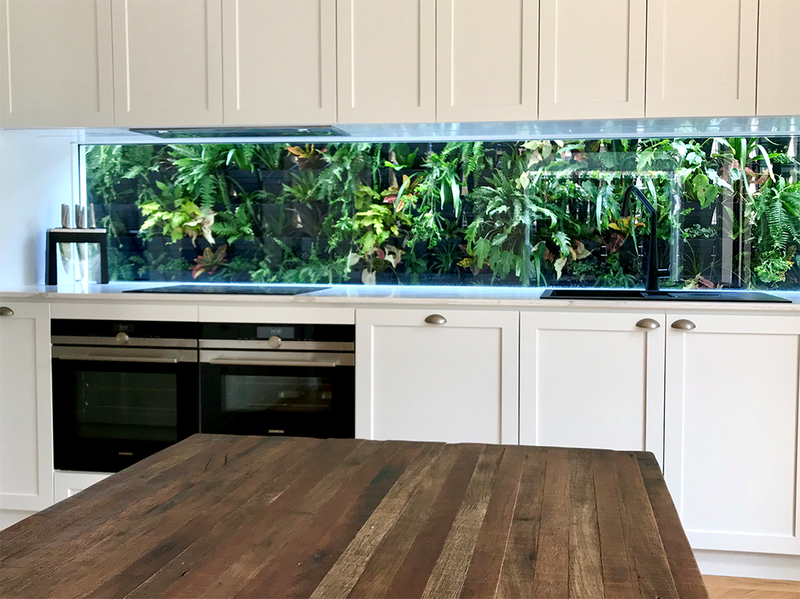 We install in the Sydney area and can apply a custom framing design to enhance your greenwall statement. 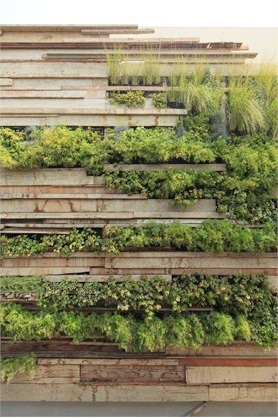 Growing Well designs and installs vertical gardens for both residential and commercial locations. Our experience and professional design background will enable you to transform any outside space including; balconies, courtyards, BBQ entertainment areas or restaurants. 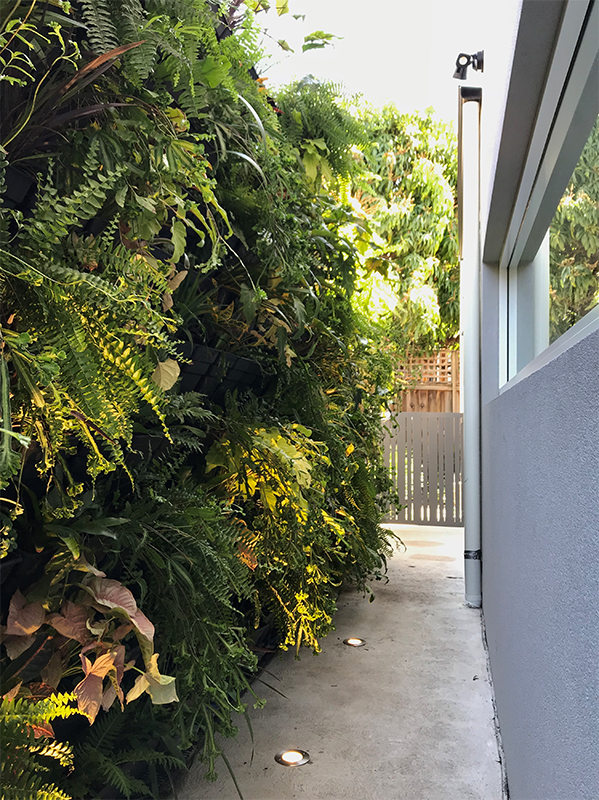 Green walls are a great choice whether you want to screen a property from public view, create a natural, visually appealing façade or provide the occupants of a building with shade from direct sunlight. 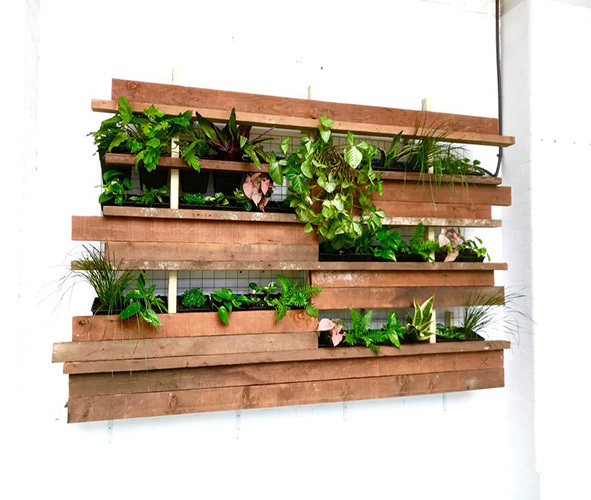 Our eco-friendly vertical gardens in Sydney are easy to maintain, relatively inexpensive to install and infinitely more attractive than a plain brick or concrete wall. 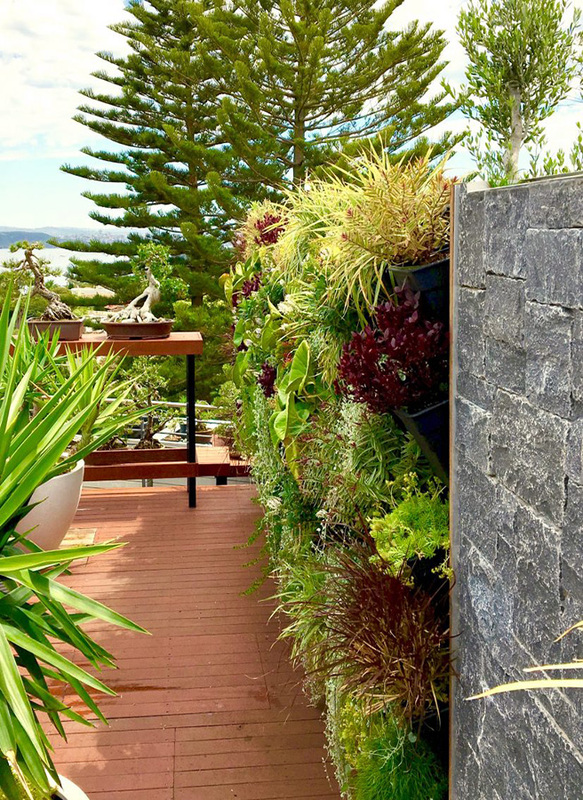 In addition to being both beautiful and functional, your new outdoor wall garden will help to boost your green credentials and enhance the local environment at the same time. 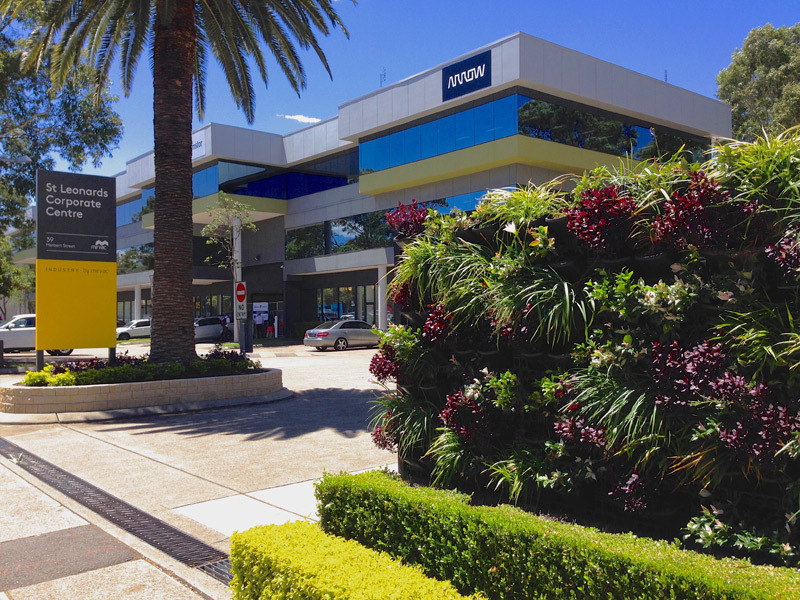 Call our Sydney office to discuss the type of wall you would like us to create for your home or business. 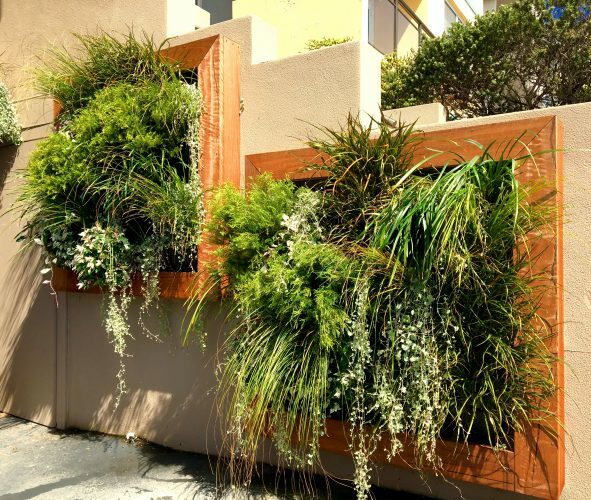 Growing Well garden design Sydney has established a custom service for greenwalls focusing on contemporary and sustainably focused enhancements to both commercial and residential buildings. 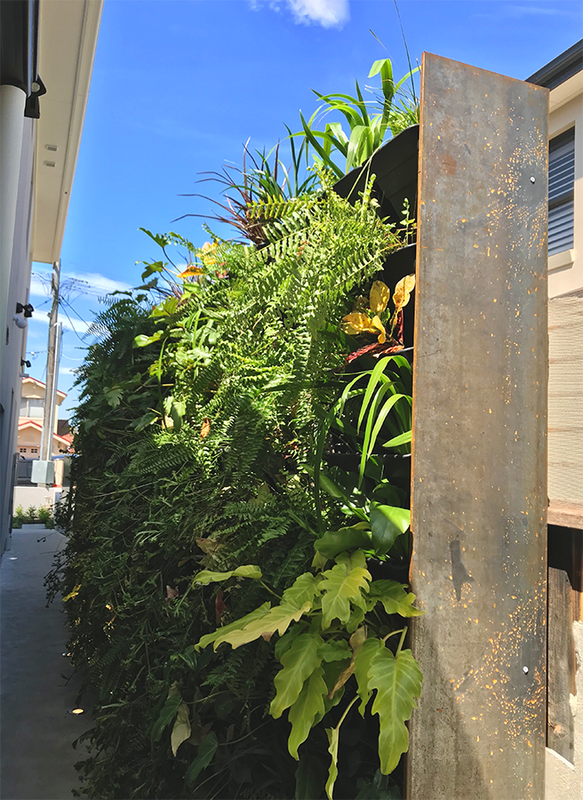 Our expertise in designing native dry tolerant and ecologically friendly gardens extends to Green Wall and Vertical Garden installations. 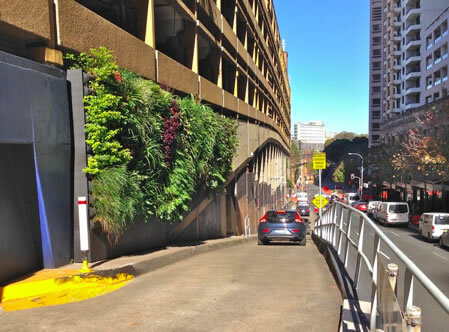 Our previous design and build projects for Green Wall and Vertical Gardens includes the City of Sydney. Ecological benefits are now widely supported by planers and the public. 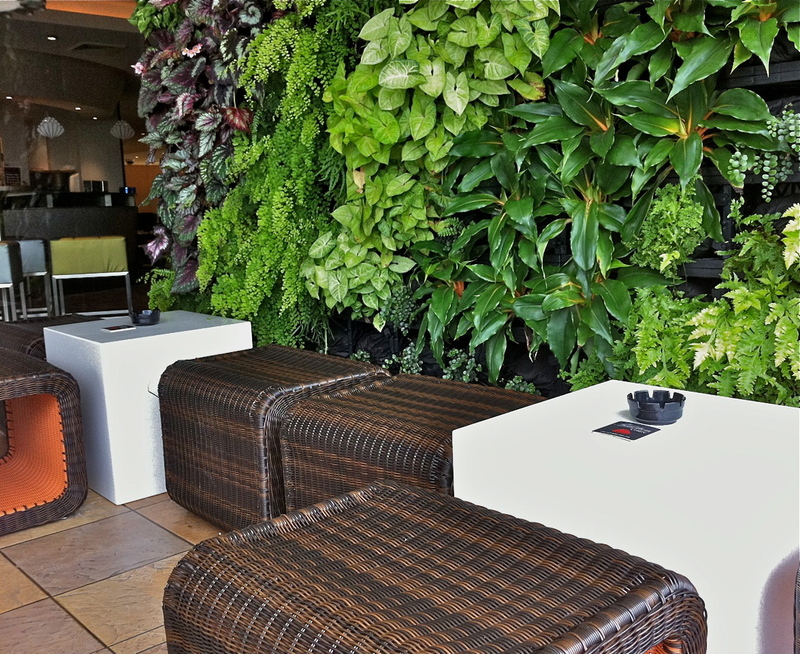 Increasing greenspaces is a universal objective for contemporary living and work environments, as is enhancing a building’s visuals both inside and out. 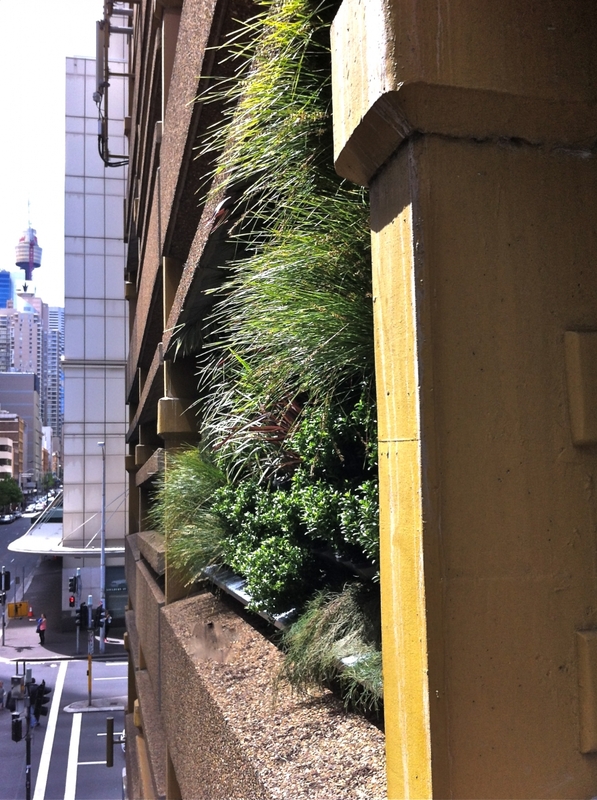 Renewal of dull interiors and exterior walls with flourishing greenery delivers living breathing plant life. This contributes more than just aesthetic enhancements. 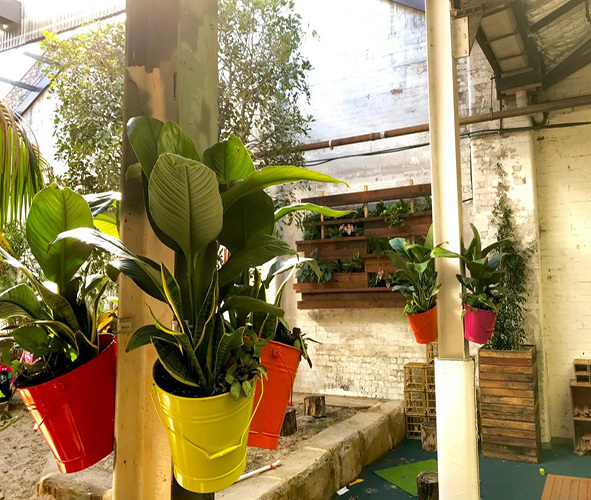 Sustainabilty aligned benefits include; reducing power consumption by reducing temperatures, recycling runoff and improving our city hard surfaces by introducing plantlife. 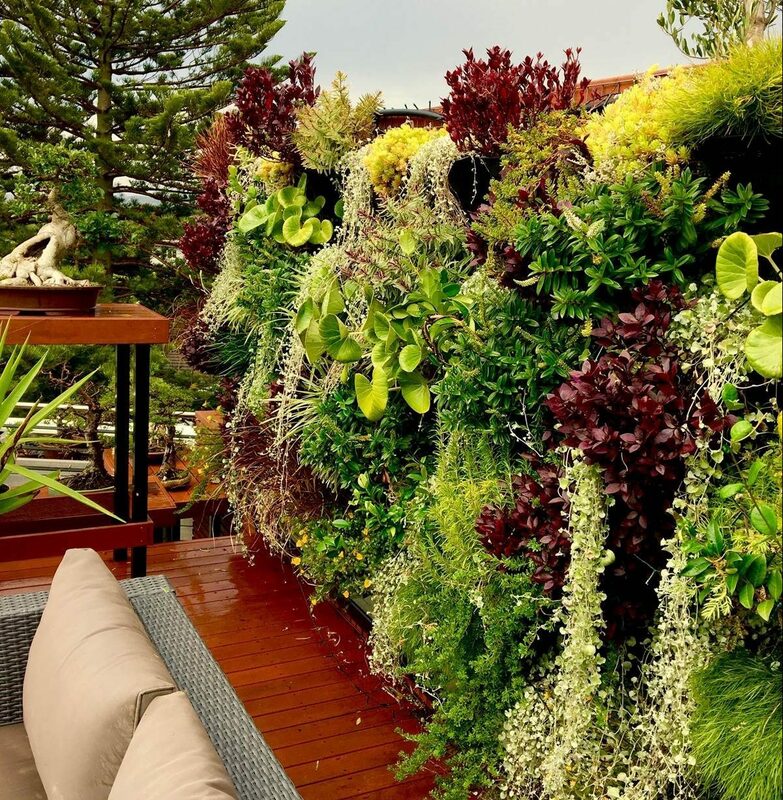 Homes , offices, restaurants and apartment can now install vertical gardens with herbs. Costs are overshadowed by the health advantages of super fresh food. 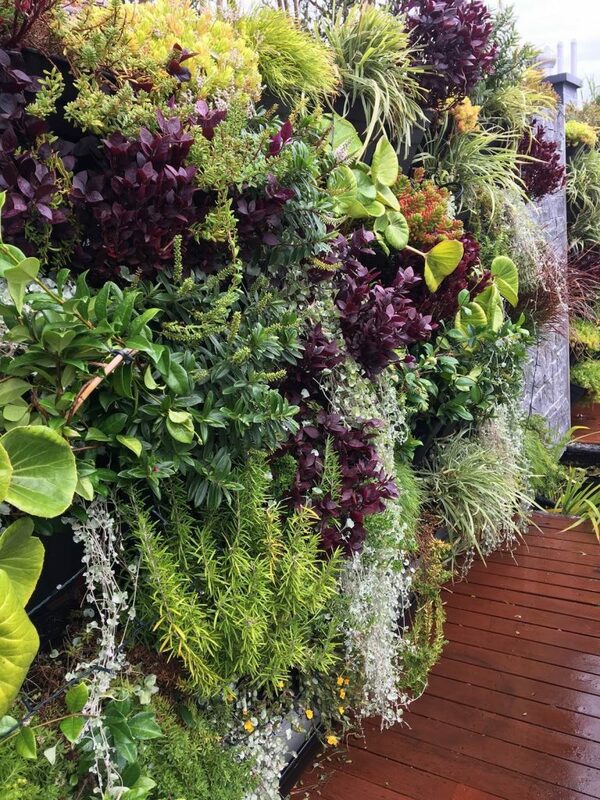 The upright space saving ‘wall feature’ of an edible vertical garden or greenwall is a wonderful opportunity for everyone, aesthetic, environmental advantages and benefits are full of appeal. 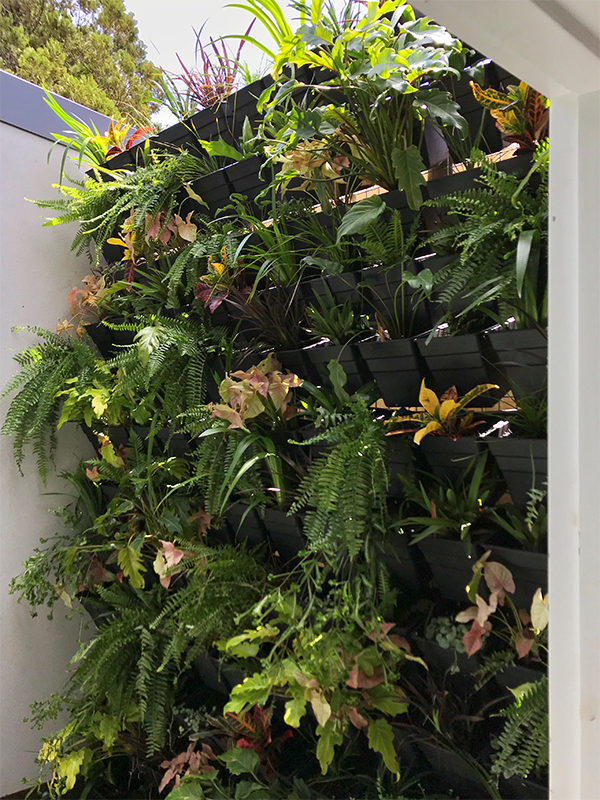 Why not get a quick quote to renovate an office, courtyard or any interior-exterior space with a vertical garden Sydney? 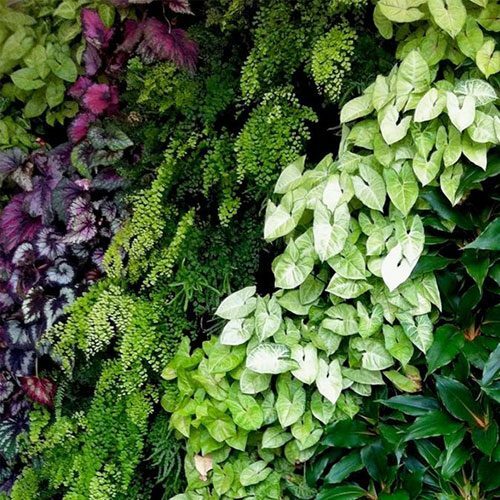 A Green Wall shows a company’s support for the environment and sustainability whilst improving everyones workplace. Contribution to natural air quality, reducing noise levels, and absorbing carbon dioxide are the unique key advantages. Plants are proven to add to people’s enjoyment and comfort, reducing stress levels. Plants will transform empty walls. Herbs, vegetables and flowers make any outside space come alive! Do you have a blank wall you would like to refresh? Just measure in square meters (m2) and purchase by the box below. Renovate your courtyard, terrace, side passage or fence and make a stunning feature. Assembling a kit is so simple and reliable that you can do it yourself. The Wall Garden system will accomodate a standard irrigation system connected from the garden tap. If you need support, any advice on installation, or a plant list for your location call 0413 459 545. 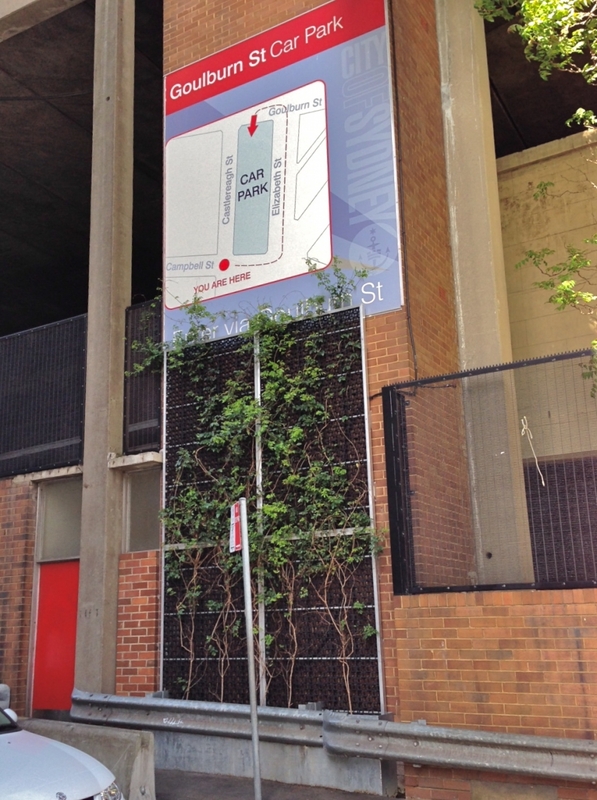 We deliver and install green walls to Sydney and across Australia, simply enter a postcode in calculator. Multi Hang is designed to fit any wall surface easily and will hang on Wire Mesh, a Timber Rail, or Lattice. Perfect for Herbs in a courtyard or balcony you can easily remove pots and tend to your plants. 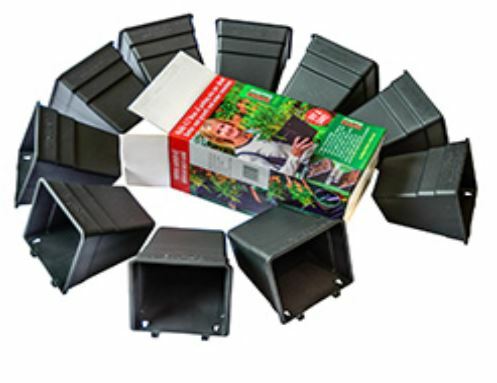 Just add approximately 4 litres of soil per pot and water in then fit 13mm irrigation or call us to set up for you. 0.6 square metres per box of 10 equals $112 per square meter. Module Dimensions 250mm H x 200 W x 200 L Capacity: 4.7L / module. 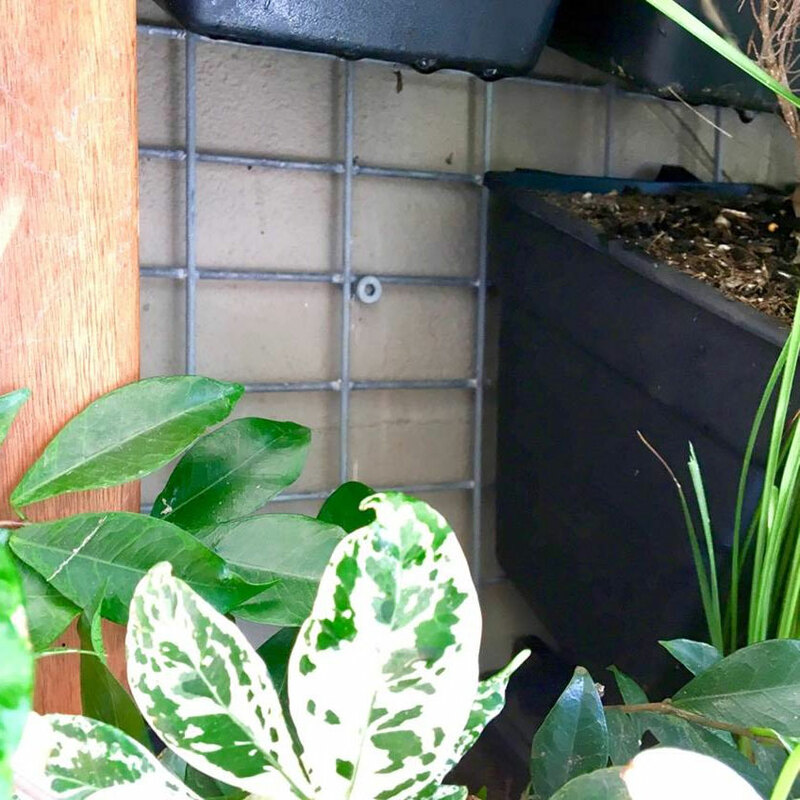 Recycled Black Polypropylene By Wallgarden Australia. Enter Quantity, enter your location details and click 'Calculate' to see available shipping options.